This book is a part of a pack which has been created specifically for the Italian market. Student's Book and Workbook (without answers) are packed together. The Workbook Answers section is available separately. The listening and reading material provides fresh new angles on universal topics, and students are given numerous opportunities to practise new language through a wide variety of communicative activities, many of which are personalized. 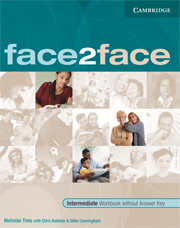 face2face is also fully compatible with the Common European Framework of Reference for Languages and gives students regular opportunities to evaluate their progress. Each self-contained double-page lesson is easily teachable off the page with minimal preparation. The Teacher's Books contain optional photocopiable resources and tests, ensuring that the course can be tailored to the needs of different classes. Each level provides approximately 80 hours of core teaching material, which can be extended to 120 hours with the inclusion of the photocopiable resource material and extra ideas in the Teacher's Book. 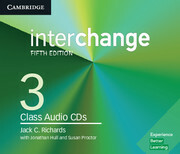 The Student's Books are packaged with a free CD-ROM/Audio CD which offers hundreds of extra practice activities, video sequences, recording capability, customizable texts and much more.